In this digital age of social media, our brains are clogged with incredible amount of information every day, more than half of which we fail to retain. Research has proved that visual learning helps in better understanding and retention than plain written text and saves a lot of time. A mind map aptly serves this purpose of effective and meaningful learning. It is a pictorial representation of any concept. Reading loads of text about personal finance and associated jargons can become a dull and tedious process, especially for a lay person. Hence, we have come out with this unique E-book of mind maps on personal finance to facilitate learning which is faster, convenient and easy-to-understand. Since these are related to finance, we call them Money Maps©. The preface of the book will guide you on how to read our Money Maps©. We believe that even a few correct steps can put your financial life on the right track. 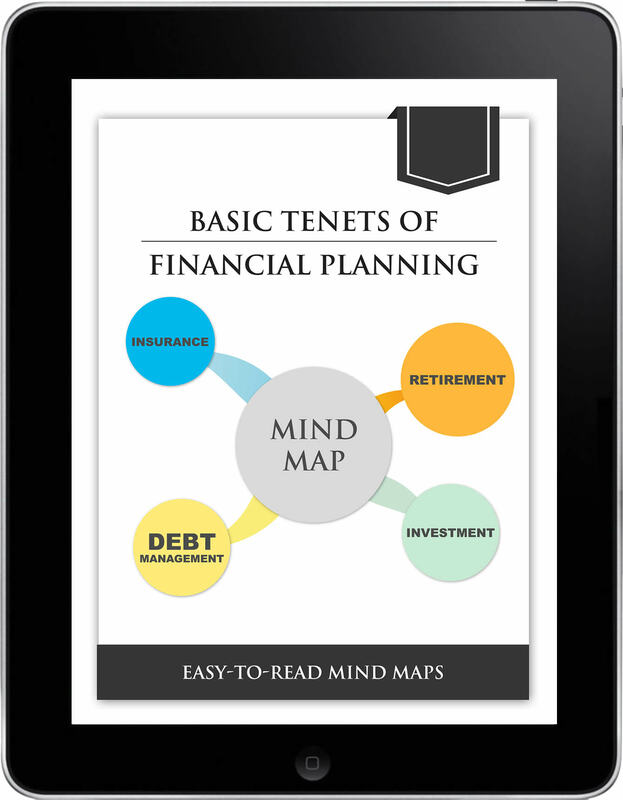 In this free E-Book, we have chosen some of the best Money Maps© for you. These cover almost every basic aspect of financial planning like investments, retirement, taxation, life & health insurance, financial emergency, debt management, etc. There is also a beginner’s guide to reading our Money Maps©. Fill the details as below and receive Free E-Book in the mail box. × Thank you! Mail has been sent to VSK Finance Team. × Thanks for subscribing. You will shortly receive the free E-Book in your mailbox.